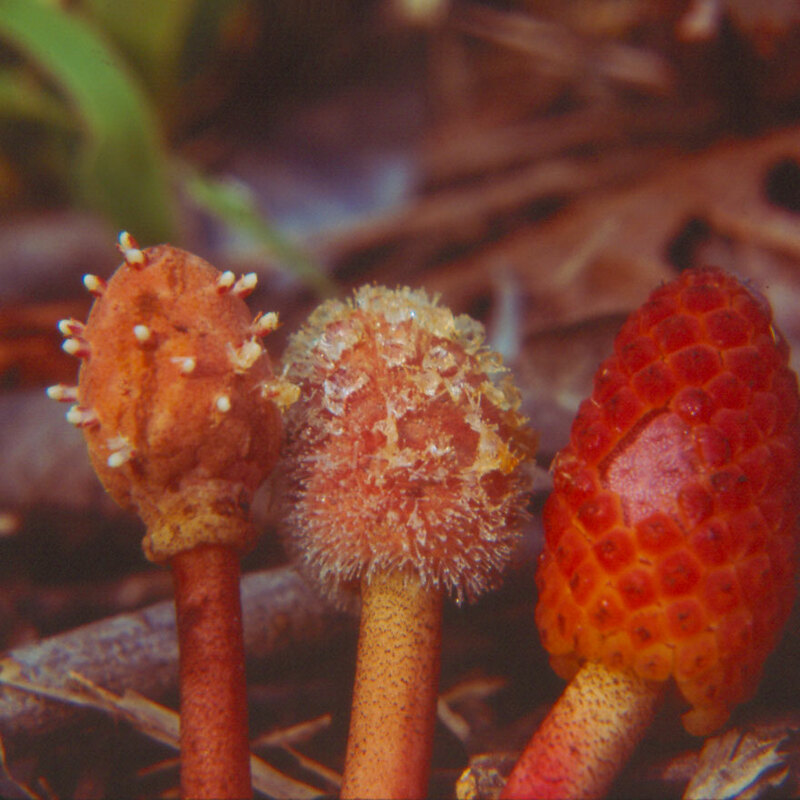 Helosis may look like a fungus, but it's a flowering plant with very tiny flowers. It grows as a parasite on the roots of trees, forming a mound of tissue from which emerge flower stalks (inflorescences). Helosis is native to tropical America, but the family to which it belongs, Balanophoraceae, occurs in tropical areas around the globe. Here are three flowering stalks of Helosis. The one at the right is covered with polygonal scales that fall off. The one at left shows an inflorescence bearing male flowers, which are white and well separated from each other the inflorescence in the middle shows the dense covering of extremely tiny white female flowers.